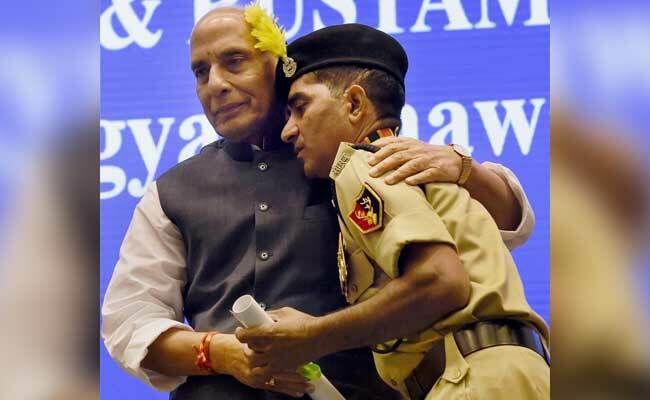 At the Border Security Force's investiture ceremony, union Home Minister Rajnath Singh says the BSF is India's first line of defence. New Delhi: The number of terrorists coming from Pakistan has reduced after India struck terror camps across the Line of Control in a surgical strike, union Home Minister Rajnath Singh said today. "There used to be infiltration by militants from Pakistan. But I can say after surgical strikes, incidents of infiltration have come down to a large extent. I compliment both the army and the BSF for ensuring border security," Mr Singh said during an investiture ceremony of the Border Security Force or BSF in New Delhi. Mr Singh said the security forces, especially the BSF, should stay "more alert" to check cross-border smuggling of fake currency notes and drugs. 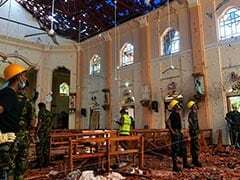 He said the "enemy" is spreading false information on social media and instant messaging tools such as Facebook and Whatsapp. "It is seen that the personnel and officers use and put such information or videos on their Facebook page or Whatsapp. You should not forward such items, unless it is authentic and in the interest of the country as you not only protect our borders but also the country's unity and integrity," Mr Singh said. He said the government is working to deploy the Comprehensive and Integrated Border Management System to monitor frontier areas using radars, lasers, cameras and other command and control devices. "We are trying to secure our borders effectively by putting a three-tier system which will be like deploying a border-guarding force, an intelligence network and police presence behind this. This is being integrated on our borders in a fast mode," Mr Singh said. The home minister said the BSF was India's "first wall of defence". In the last few years the BSF has come out of the army's shadow and asserted its distinct identity on the border, Mr Singh added. Mr Singh said it is his desire that the family of every soldier killed on duty who belonged to the Central Armed Police Forces or CAPFs must get a minimum compensation of Rs 1 crore. "I urge all the DGs (Directors Generals) of the CAPFs to inform me of any such case where a family is not able to get the minimum Rs 1 crore aid. I will try all that I can to ensure that this amount is provided to the families," Mr Singh said. He said the Home Ministry runs a website where people have donated to the families of fallen soldiers. "While every jawan or officer should get their grievances resolved through the established forum that you have in your respective forces, all such cases that come to the Home Ministry will be reviewed by me at least once a month," Mr Singh said.